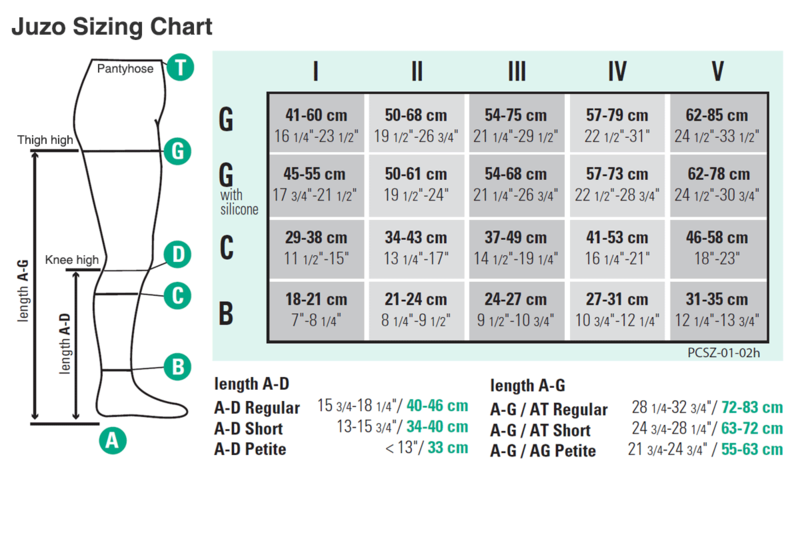 Juzo Naturally Sheer knee high compression stockings are beautifully sheer and fashionable. Naturally Sheer compression stockings are also ideal for reducing swelling and increasing circulation in your legs. Available in a firm 30-40 mmHg compression. Naturally Sheer comes in many great colors to match any wardrobe. You can also choose to have an open toe style.